Merchandise - What's On Offer? 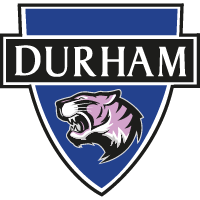 This season we have begun to produce a range of club merchandise which will be on sale at home games. We'll have a match day programme on sale at every home game, containing a number of interesting articles including the thoughts of manager Lee Sanders, captain Sarah Wilson and other members of the playing squad. 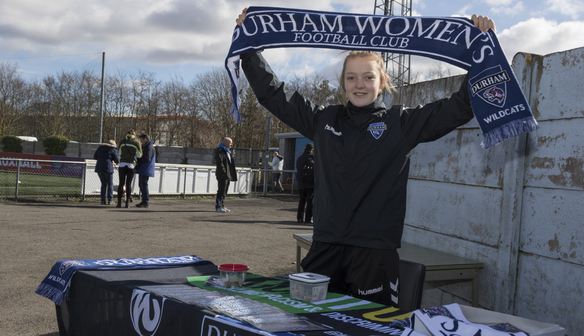 To order your shirt, email your name and size to mark.donnelly@durhamwfc.co.uk, and we'll let you know when your order is available to collect at a home game! Please note that shirts are ordered in and may take time to arrive. Our 'Scarves of Two Halves' proved very popular last season, with a blue side and a white side with the club page and name proudly on each side. These scarves are available for only £10.